Hooksome-Chatmore Rug Artisans invite you to a show of our work in the Conference Room through March 15. 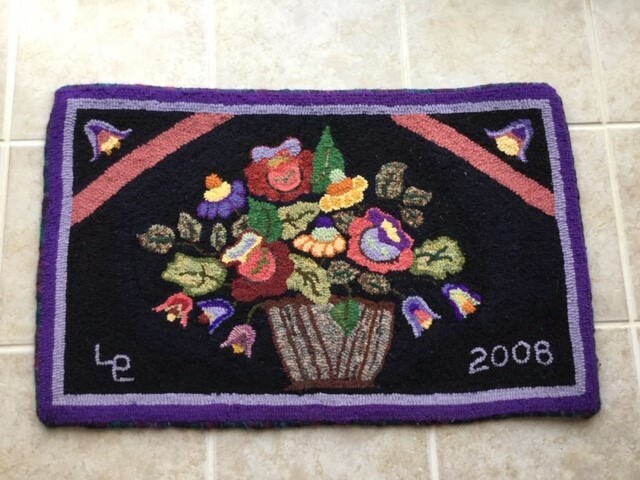 Rug Hooking is an ancient craft using strips of wool and other materials pulled through a linen base to create floor mats, wall hangings and various other items. 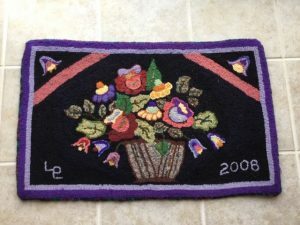 Rug artisans create their own designs and plan their colors as well as using commercial patterns. 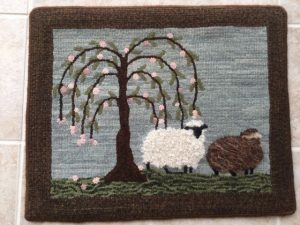 You are invited to meet members of our group at a special “hook- in.” We will be demonstrating our craft as well as offering instruction on how to hook – equipment and materials provided. Come and be hooked by our special art!